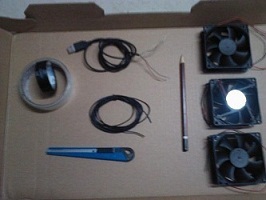 Make this DIY laptop cooler in under 10 minutes using scrap materials found at home. And, of course, a laptop! In this tutorial, I will teach you to make a simple yet very useful piece of equipment, a DIY laptop cooler! Many of us face the daily life problem of laptops heating up during use, especially while gaming. If you don't want to spend too much on the solution, congrats, you've come to the right place! 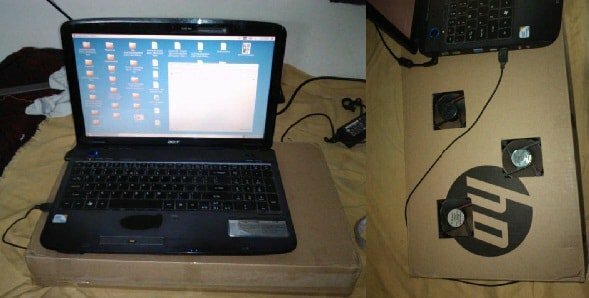 You can make this DIY laptop cooler in under 10 minutes using scrap materials found right at home. This method will save you a lot of time and money compared to buying a ready made cooler. How Does the Laptop Cooler Work? Like most electronics that we use every day, laptops pose the problem of overheating. There are various methods applied to cool electronic equipment, like heat sinks and cooling fins. One of the easiest and most efficient methods is by circulating air around the device. In this method, we actively enforce air circulation around the device with the help of one or more low power fans. The movement of hot air away from the device allows cold air to take its place and transfer the heat. 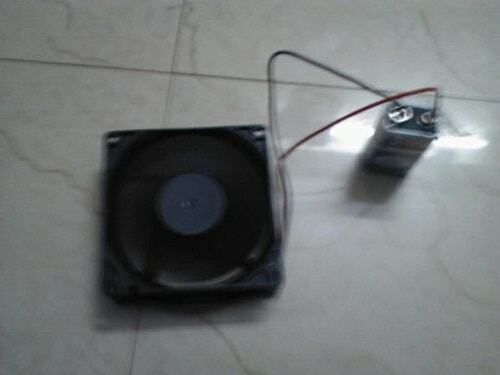 This is the method that our DIY laptop cooler uses. 1. Connect the leads of the CPU fans to a 12V battery in the correct polarity and ensure it's working properly. 2. Mark the positions for the CPU fans on the shipping box and cut the marked places using a cutter. 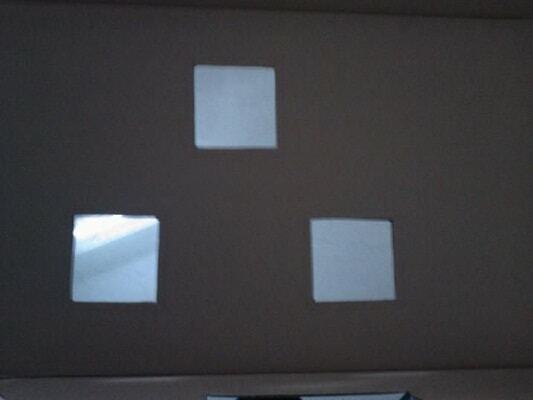 You will now have a box with three holes as shown in the picture below. 3. 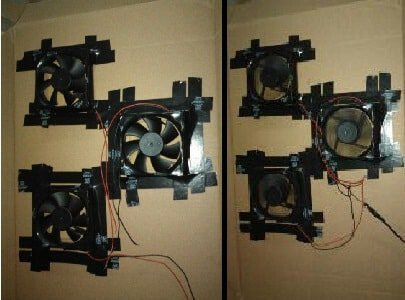 Fix all three fans inside the box using wiring tape. Make sure that the fans are positioned such that they blow air away from the laptop that will be placed on top of the closed box once the cooler is completed. 4. Now cut one end of the USB cable so you can access the four wires inside of it. Insert the USB cable to the laptop and identify the Red wire (power) and Black wire (ground) of the cable by connecting it to one of the fans. Group the positive and negative leads of the three fans separately and connect them to the respective ends of the USB cable. 5. Using the pencil and cutter, cut a few holes on either sides of the box. This will help in proper circulation of air. Take the USB cable out through one of these holes. Congrats!! You have now finished making your DIY laptop cooler. Below is a picture of the finished product. You have seen how easy and fast it is to make a DIY laptop cooler with household stuff. Go ahead and make your own! !